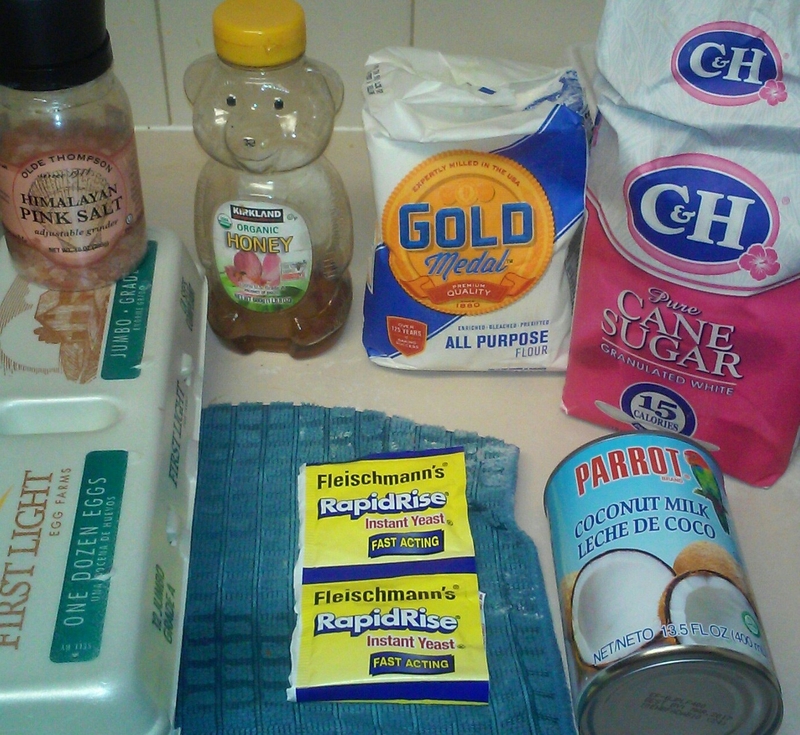 Directions: Dissolve yeast and sugar in the water then add coconut milk, salt and egg. Stir. Slowly incorporate the flour a 1/2 cup at a time while stirring the mixture. The closer you get to using all the flour it should start to form into a dough. Now, knead the dough for about 12 minutes or until firm. In a separate bowl, add 1/2 cup of coconut oil into the bowl and turn the dough in it to fully coat. Cover dough with a damp towel or hand towel and let it rise for about an 1 hour. Cut or hand separate the dough into 8 to 10 portions. Roll each piece into a disks they should be about 6 inches. Use the coconut oil from the bowl to lightly brush on the portion. Fold in half and brush the coconut oil on the outside. Wait a couple of minutes for the dough to double in size. 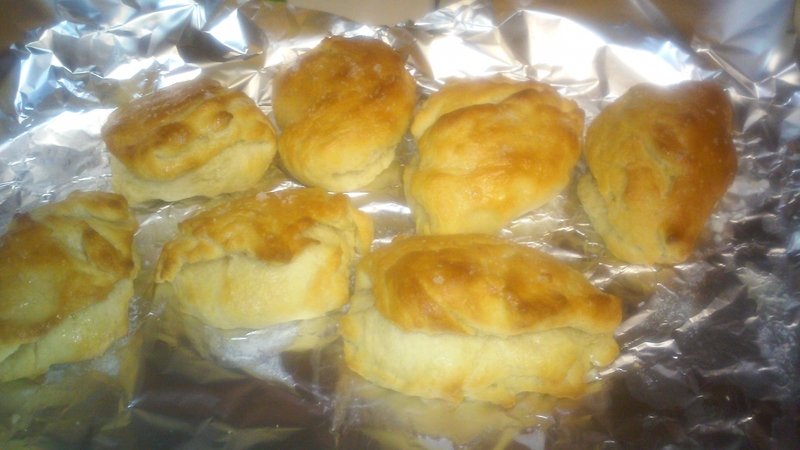 Place bread on a greased baking sheet . Preheat oven to 425 F, place a large pan full of water on the lowest rack. Wait until the water is the same temperature as the oven. Baking sheet on upper rack in the oven and bake for 15-18 minutes. Thanks, for the information about how to make this bread. I tried it and it was delicious! thanks for sharing. I am from Brooklyn and I remember eating these bread on Eastern Parkway during the Caribbean Parade! that was some fresh and delicious bread. I wonder where I can get some ,in Cali? I cam not do much of a cooking, but I can eat!